New Eco Friendly Material – A little more expensive, much better. TPE is the latest technological improvement to the traditional yoga mats. No latex, no PVC, non-toxic or any harmful chemicals. Our mats are made of SGS certified TPE material which is non-slip, odor-less and excellent in cushioning, unlike those cheap & traditional non-green PVC, NBR or EVA yoga mats. They are truly eco-friendly, healthy and recyclable. Body Alignment System: The alignment lines help you to focus and adjust your hands and feet to the accurate position, and keep body in proper alignment. Perfect Performance –6mm in thickness offers the most comfortable experience for all level yogis. Double layer structure design provides optimal grip, excellent cushioning and double-sided non-slip texture, best suitable to practice many forms of Yoga. Extra Large Size: 72"(183cm) x 26" (65cm); Thickness: 6mm; Weight: 2.8lb (Approx). 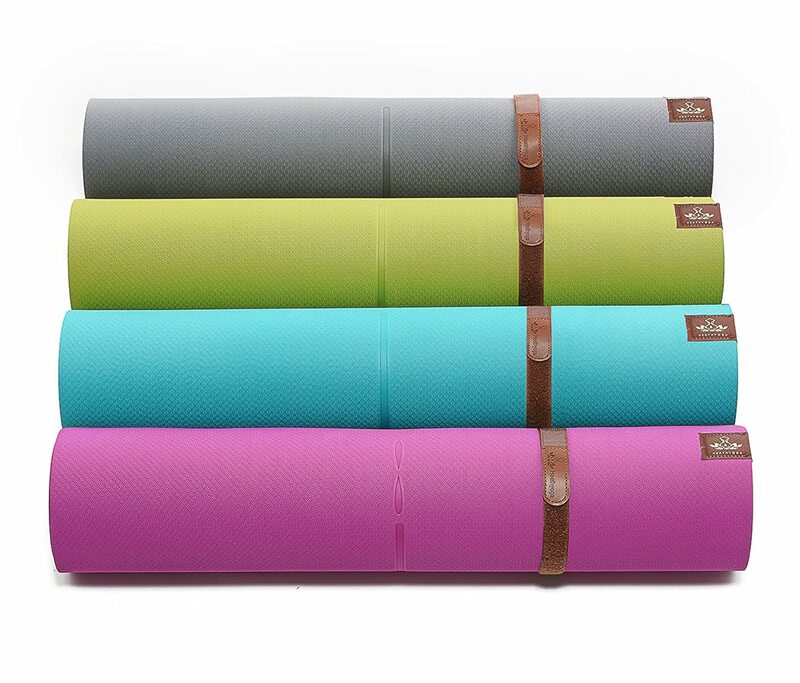 Longer and wider than regular yoga mats, ideal for almost for everyone. Velcro strap and Carrying strap included.